Is Social Media Set To Make The Infomercial Great Again? eBay Australia, on June 7th, with a little trepidation, hit play on a 4-hour Facebook Live Stream. Hosted by two Aussie comedians, it was designed to sell products and showcase the eBay marketplace. Styled in the ‘90s late-night television, barely scripted, brash and more than a little random. “We went into it with the right level of nervousness,” said eBay Australia’s chief marketing officer, Tim MacKinnon. Over 170,000 people watched eBay’s infomercial and, as a mark of success, thousands of units were sold. Many brands are beginning to use Facebook’s video platforms, in the same way, looking and thinking about how it will replace television. It’s nothing new. But this is an advert that viewers are choosing to watch on their Facebook Feeds. Three more are scheduled on each Wednesday of June, 16 hours of live content. Facebook is pushing video. It’s bloody obvious. In January of this year, the Wall Street Journal reported that the social media giant was pushing forward with an app for television set-top boxes, like Apple TV, and in February the company’s CEO, Mark Zuckerberg, all but confirmed that he wants Facebook to become the newer, better, television. 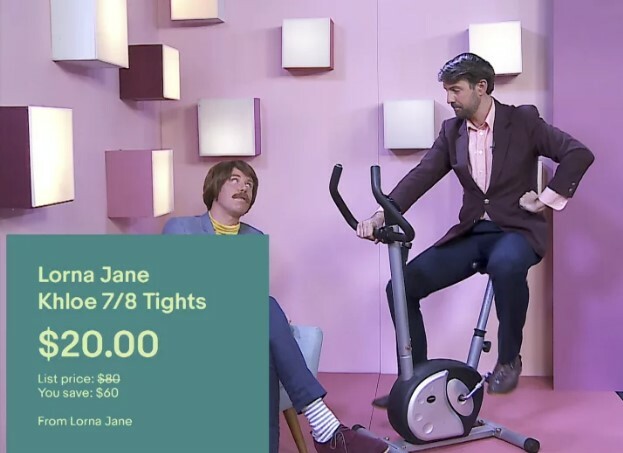 eBay Australia’s Facebook infomercial went down extremely well. “Some people even commented that they were setting up alarms for next week so they didn’t miss it,” said MacKinnon. Can you use Facebook Live to promote your brand, and sell your wares? This entry was posted in Blog on June 22, 2017 by Simon Test.